The iPhone camera gets better with every new iteration, which isn’t surprising given it’s one of the most popular smartphone cameras in existence. As image quality improves and resolution continues to climb, however, you’re going to need more storage space. And with support for RAW images and 4K videos, those files are now even larger. So for shutterbugs who use a 32GB (or smaller) iPhone, how do you maintain creativity without maxing out the storage capacity? You’ll want to learn how to transfer photos from your iPhone to a computer. There’s more to Apple’s mobile operating system than you might think. Fortunately, we’ve rounded up some of our favorite iOS tips and tricks in one handy guide. The process for importing and transferring photos from an iOS device with a USB cable essentially hasn’t changed for a decade, whether you’re using MacOS or Windows. The process varies slightly between operating systems, but it’s basically just a matter of plugging your iPhone in and clicking the Import button. 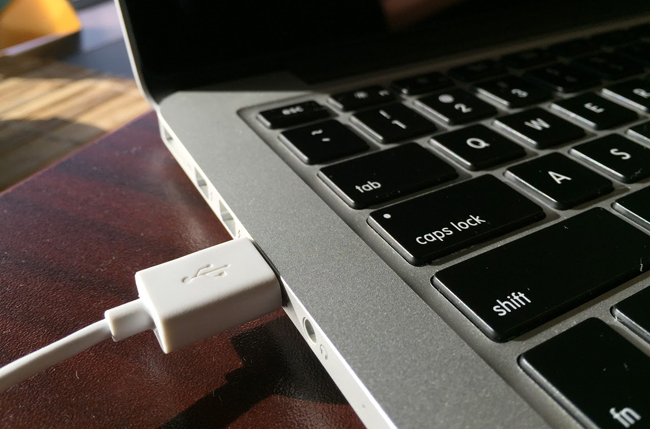 Step 1: Plug your phone into your computer — either using a 30-pin-to-USB (iPhone 4S or older) or Lightning-to-USB cable — the same way you would if you transferring music from an iPod to a computer. Step 2: The Photos app should automatically launch, but if not, open the program via Launchpad, Dock, or the Applications folder. (Alternatively, launch Aperture or iPhoto if you use those applications.) If your device isn’t automatically selected, you can find it on the left side of the Photos app screen. You could also use the Image Capture app in MacOS to quickly download content from phone to a folder. Step 3: If using Photos, click the blue Import New button in the upper-right corner, or select the individual photos you wish to transfer before clicking the Import Selected button at the top. You can also check the box beside Delete items after import if you wish to automatically delete the photos on your iPhone after importing. Once done, select Last Import (located on the left) to view your recently uploaded images. Keep in mind that Ctrl-clicking an image will also bring up additional options for sharing, favoriting, and editing said images. The iPhone pairs well with MacOS — there’s no doubt there. However, that doesn’t mean Apple has made it difficult for Windows users to access their photos using a program native to their respective OS. The process is nearly identical for Windows 8 and 10 users, so you shouldn’t experience much trouble using any moderately recent Windows OS. Step 2: The Photos app should automatically launch, but if not, open the program using the Start menu or search bar. You may have to unlock your iPhone before moving on. Step 3: Click the Import button in the upper-right corner, represented by a box with a downward arrow inside. Afterward, check the individual photos you wish to transfer from your iPhone and click Continue in the lower-left corner. Step 4: Check the box in the resulting pop-up window if you’d like to automatically delete the photos on your iPhone after importing them, or simply click the Import button to transfer the images to your main Pictures folder. Alternatively, click the blue Change where they’re imported link to select a new save destination. When finished, click the Albums button accessible via the left-hand navigational pane. Then, select Last Import at the top to view, share, or edit any of your recently-uploaded photos. Step 1: Make sure Wi-Fi is enabled for both devices. Step 2: Make sure Air Drop is enabled on both devices. On your MacOS computer, open a Finder window and in the left-hand navigation bar, click on the AirDrop label (it should be at the very top, as shown below). At the bottom of the screen, after “allow me to be discovered by,” make sure it says contacts only or everyone. On iOS, go to Settings > General > AirDrop. Make sure either Contacts Only or Everyone is selected. Step 3: On your iPhone, go to the Photos app and select the photo(s) you want to transfer. There’s no limit on how few or how many you can transfer at once, but themore images you select, the longer the transfer will take. Step 4: Tap on the share icon inside the Photos app (the box with the arrow pointing up) and wait for the MacOS computer you want to transfer them to pop up under the AirDrop section of the share dialog. Make sure the device that you want to transfer to is on and awake. Once the correct MacOS computer appears, tap on it. Depending on your AirDrop settings, you may have to approve the transfer, otherwise it will automatically begin. Step 4: By default, the photos are stored in your Mac’s Downloads folder. The images won’t be grouped into a folder by default, so it’s up to you to organize the images and store them to keep them safe.